Why Buy When You Can Rent in Orlando? Thinking of Buying a House in Orlando? Flexibility. Probably the biggest advantage to renting is the huge amount of flexibility it provides. 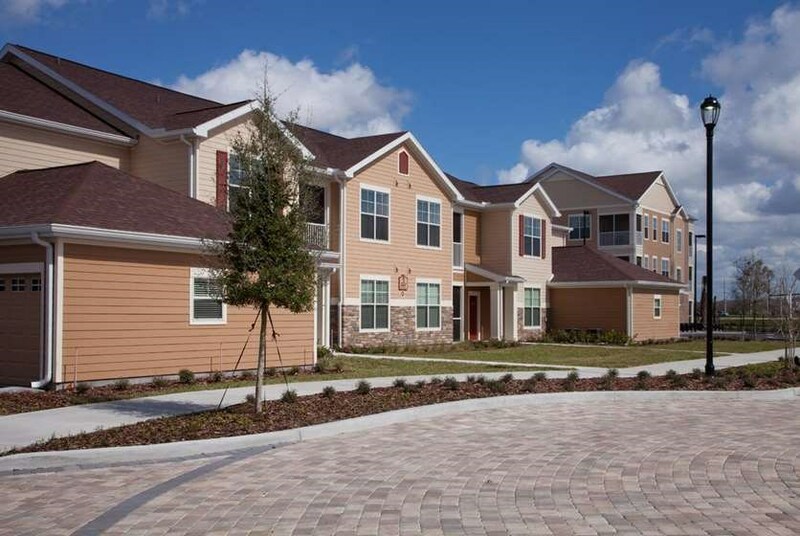 Most Orlando apartments rent one-year leases, although shorter leases are an option at many apartment locations. Use our real-time search to see what Orlando apartments offer short-term leases. This arrangement allows you to live in a great apartment and easily relocate when you want. This is ideal if you expect a job change in the near future. Selling a house is a major hassle that can easily stretch into a couple of months if you are lucky enough to find a buyer willing to pay our asking price. Mortgage vs. Rent. It's no secret that mortgage payments can be burdensome. They are also binding. Generally, once you get into a mortgage agreement, you are locked in for years. On the other hand, when you sign a lease to an apartment, it is generally for a year, allowing you to evaluate your current living location and situation regularly. Overall, it is simply difficult to justify paying a mortgage payment in the current state of the housing market, when you can find Orlando apartments under $1,000, apartments under $900, and even apartments under $800 these days. Taxes. When renting an apartment in Orlando you agree on a monthly fee and that is it. When buying a house the mortgage you pay the bank each month is just the beginning. Homeowners need to factor in property taxes, assessments, homeowner association fees and utilities that are usually absorbed by the apartment (e.g. water and trash disposal). Insurance. We highly recommend obtaining Renters Insurance for your Orlando apartment. While this is not great news there is a silver lining. Renters insurance is a fraction of homeowners insurance. You can typically obtain excellent Renters insurance for less than 10% of the cost of homeowners insurance. Refer to our article Learn about renter's insurance in Orlando for more details. How is the Housing Market? There is still quite a bit of debate about whether housing prices have actually are still low. Even if home selling prices are still low most experts are predicting very slow appreciation over the next few years. This means that unless you are planning on owning your home for more than five years there is some question about whether you will actually get your money back from your home when you sell. Factor in that interest rates are expected to rise in the future and there is quite a bit of gambling if you plan to buy a home in Orlando right now. How much down? The days of no money down when buying a home are long gone. If you plan to buy a house in Orlando expect the bank to require at least 20% of the purchase price when you close. This is a significant amount of money. Renting an apartment in Orlando gives you a great place to stay while you save for that massive down payment. There are significant financial and time advantages to renting an apartment in Orlando rather than buying a house. Because rent in an apartment is fixed over a 12-month period, with maintenance and perks like a pool or fitness center included, apartments can be easier to budget for than a new home purchase. Additionally, many renters find that they can afford in-home luxuries in an apartment such as granite countertops, stainless steel appliances, and wood-inspired flooring that they may not have been able to find in a new home in their potential price range. Renting an apartment in Orlando gives you a great place to live where you can save and invest the money needed for a future home purchase when you are ready to do so.